The bench directed the doctor to either complete the mandated service or pay Rs 20 lakh as the penalty, both alternatives mentioned in the bond specifically, which was agreed upon during the time of his admission at the Aravind Eye Hospitals, Madurai. It is reported that the time of the admission for a postgraduate courses in the state (MD or MS) in the medical institutes, the doctors have to sign a compulsory service bond and submit all the certificates of their previous exams, MBBS and postgraduate provisional certificates. The bond stated that the doctor will only get their certificates back from the institute after they complete the mandated years of service stated in the agreement. 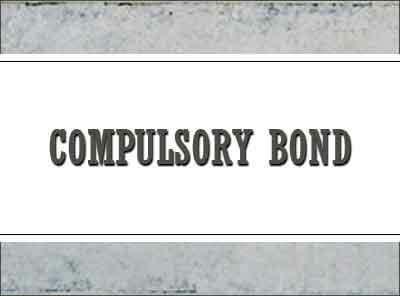 Alternatively, if the doctors need to get their certificates back before the completion of the stipulated period, they would have to pay the certain amount (mentioned in the bond) to the institute as the penalty. Following the norms, before joining the three-year post-graduate course, MS (Ophthalmology) in 2014, the Doctor concerned signed the bond and agreed to pay the penalty amount, Rs 20 lakh in case he failed to provide the mandated two-year service. Along with the bond, he had submitted the aforementioned certificates with the Aravind institutes. However, after completion of the course in July 2017, the petitioner aspired to work in the government sector and requested the eye hospital to return the original certificates. The request was denied citing the agreement, reports the Hindu. Hence, he moved the court urging the authorities to return back his documents. During the hearing, the counsel for the ophthalmologist based his submission on the argument that when the bond was executed, he was under the impression that he was required to serve only in government service and not Aravind institute. “It was open for the institution to resort to legal remedy to recover the bond amount, but the original certificates should not be withheld,” the petitioner added. It was naive on the doctor’s part to the state before the court that he was under the impression to serve the government and not the institution, the hospital’s counsel added. The counsel also submitted that during the compulsory service period at Arvind Eye hospital, the doctor would be paid a sum of Rs 65,000 per month in the first year and Rs 70,000 in the second year as stipend in case of him complying with the agreement and there can be no legitimate grievance of losing remuneration during the period, reports TOI. After perusing the arguments and the records submitted, honourable Justice V Parthiban observed that it was unfair on the part of the ophthalmologist to go back on his promise. Terming the petition to ask for documents without serving his contract as unreasonable and disloyal, the bench stated “It looks like the doctor wants to have the cake and eat it too and wants to have best of both worlds,” and dismissed his petition. Actually this candidate is alloted via government quota in that institute. So he is bound to work in govt. But they force bond on govt students and demand money. He had been fighting since an year. Look at the verdict. Pity on him. 20 lakhs for the peanuts they pay is ridiculous. These institutes pay peanuts and make them work. Experience is good for work and learning. There are many who were promised fellowship here and then it was given to someone who they knew. Bond itself is a false practice. It is against fundamental right to work.